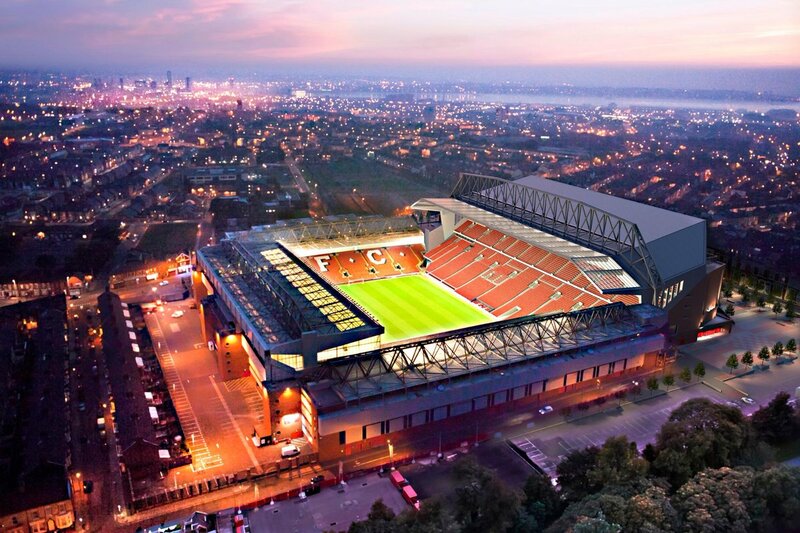 Liverpool FC will begin construction work on the Anfield stadium redevelopment on Monday. 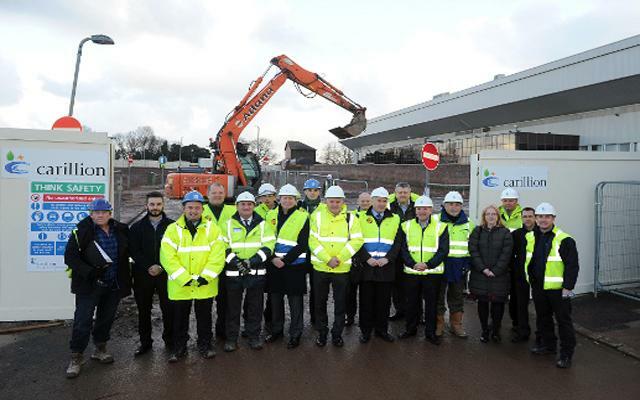 The Reds have already been working to clear houses around the ground in preparation for the development, which will see an extra 13,000 seats added to the main stand and Anfield Road end. With the fabled spade going in the ground within days, the work is expected to be completed by the beginning of the 2016-17 season. In September, the £260m scheme received planning permission from Liverpool City Council with the project expected to create 360 new jobs andbring in an extra £14.5m to the area annually. Incorporating the iconic club crest into the proposed Main Stand’s exterior elevation, the scheme will also include a two-storey podium and an area which will become the new home for the Hillsborough Memorial. The scheme is part of a wider plan to redevelop the Anfield area, with a series of green spaces around the stadium being announced yesterday . Artist impressions of the area show two small parks at Blessington Road’s junction with Walton Breck Road and the triangular area between Hayfield and Gurnall streets. The images also show open paved areas with trees where Blessington Road meets Gorst and Randolph streets. The green spaces, which are replacing derelict homes, will include benches and public art. The large brown figures in the images do not represent any particular statues, which have not yet been chosen. New image, looks mismatched if you ask me, but not as bad as St.James Park or what ever it's called now. Interestingly there are no sponsor details on the seats of the new stand. I'd imagine there are mock ups on the desks and screens of MD's all over the world along with a piece of A4 with some seriously heavy numbers on. Warrior? Pffft. This has been going on for about two decades now, I cannot believe we are finally coming to the end of this 'development hell'. Hopefully, this redevelopment lifts a curse of underachievement (by Liverpool standards!) which has been synonymous with the stadium development hell and we grow and thrive from this point onwards. Question : Who is the team in the '65 photo above with the diagonal stripe. My first thought, but we did not play them. Took me freeking ages to find that! Sometimes i wondered whether we'd actually see this day. Video showing the construction process, and some larger images. Nothing wrong with a mismatched stadium, we are big on them here in Ireland. Granted, with Croke Park, the mismatched bit is all standing. I think it will all look a bit more mismatched and a lookalike of St James Park when they do the Annie Rd end too. That literally looks like a toilet bowl lid. Not going to disagree to be honest. About time! Tom and George would have had the thing built already! Not just that, they'd have had it knocked down and re-built too like. Of course, the irony of the situation is that, had the council supported plans to rebuild the Main Stand back in the nineties, former owner David Moores would never have needed to have sold the club to Tom Hicks and George Gillett, and expansion would have happened long before now. Alas, it hasn't and a series of catastrophic errors has led Liverpool's matchday revenue and capacity to hold the club back. Finally though, progress has been made. Read an interesting quote on this. Nice montage of the grounds development over time. The owners have E-bay'd it in order to raise funds for the transfer window next month ! Slightly bigger than a spade, but no swimming pool yet.